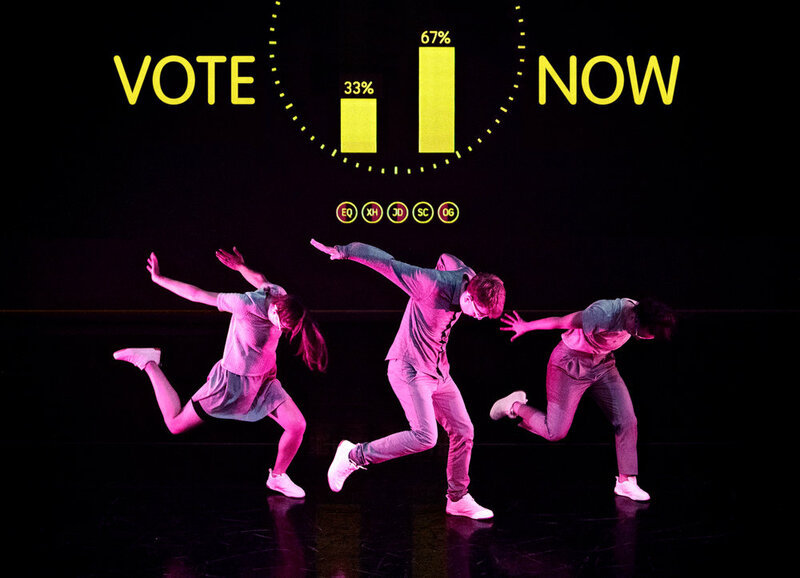 Record Breaking Dance Artist Tim Casson and BAFTA award-winning Digital Artist Seb Lee-Delisle, present their first collaboration: CHOREOCRACY: The fun interactive dance show that puts the audience in control of the performance. Seb and Tim will be your guides through the show, and using innovative mobile technology, will give you control over the three highly-skilled dance performers in real-time - with no experience of dance required. Additional Thanks: Chess Dillon-Reams, Cristina Mackerron, Valentina Golfieri, Roberta Spicer, Karolis Andriulis, Ceyda Tanc, Chris Gratwick of Managed Networks, Phil Hargreaves and Tassos Stevens.